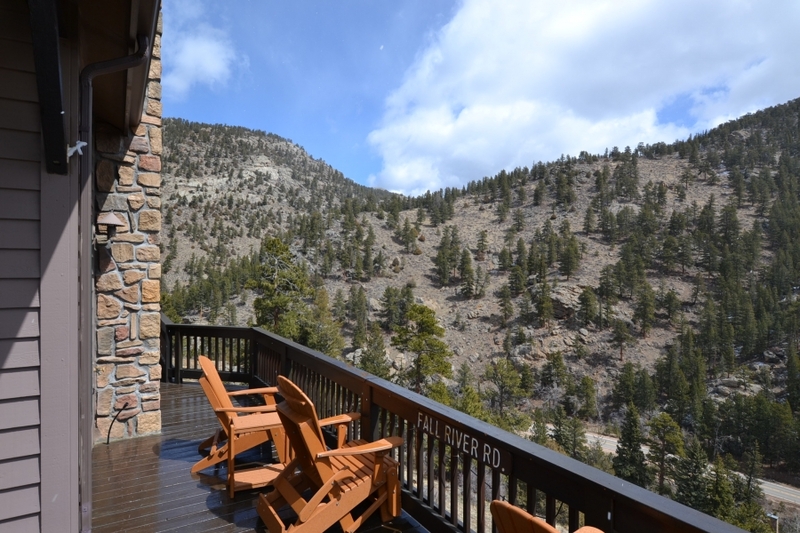 A truly special retreat located perched high above the Fall River. 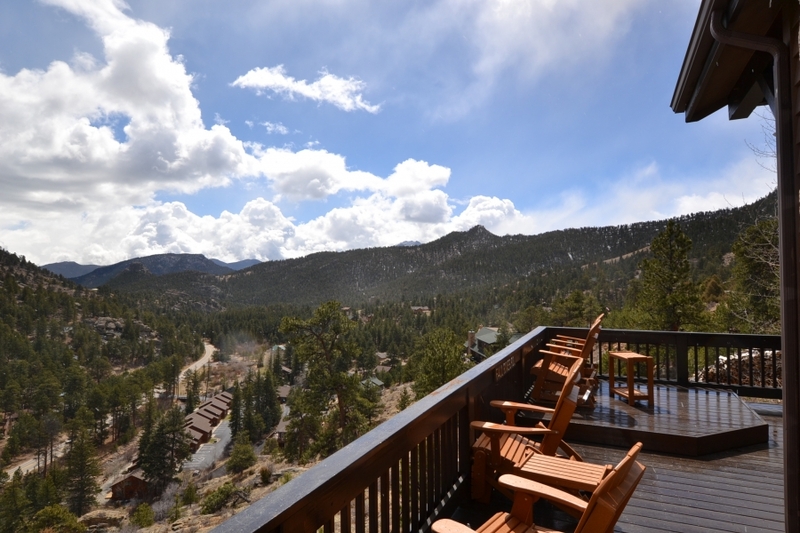 Sweeping views of the beautiful Rocky Mountains above Estes Park. 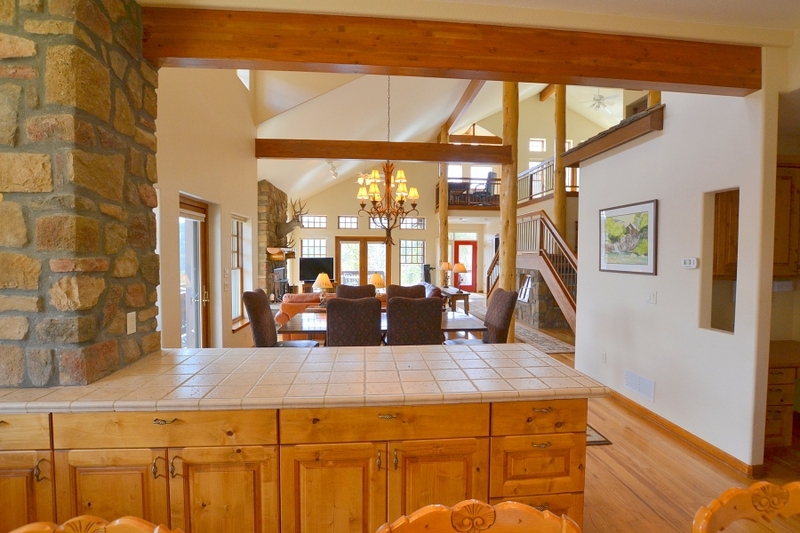 1.44 acres create a perfectly secluded environment. 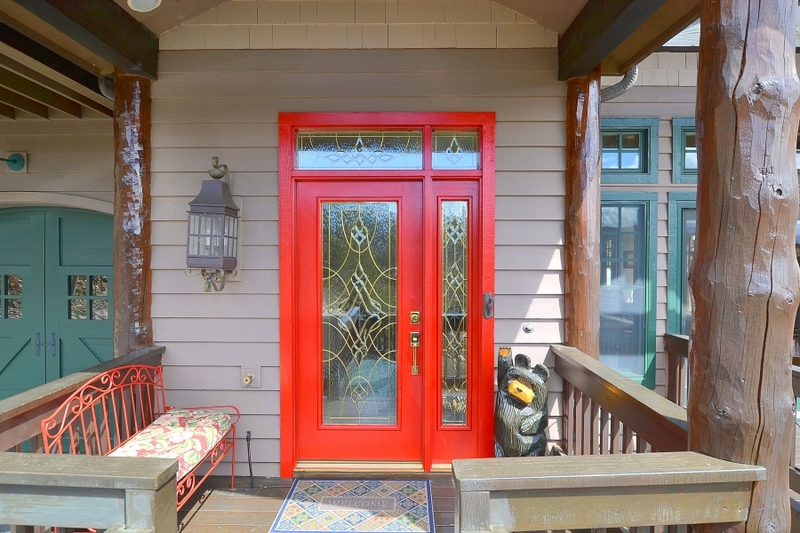 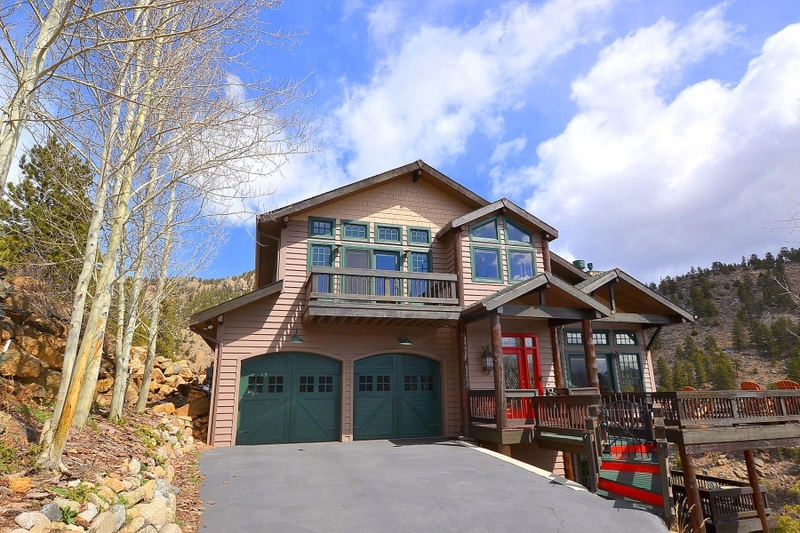 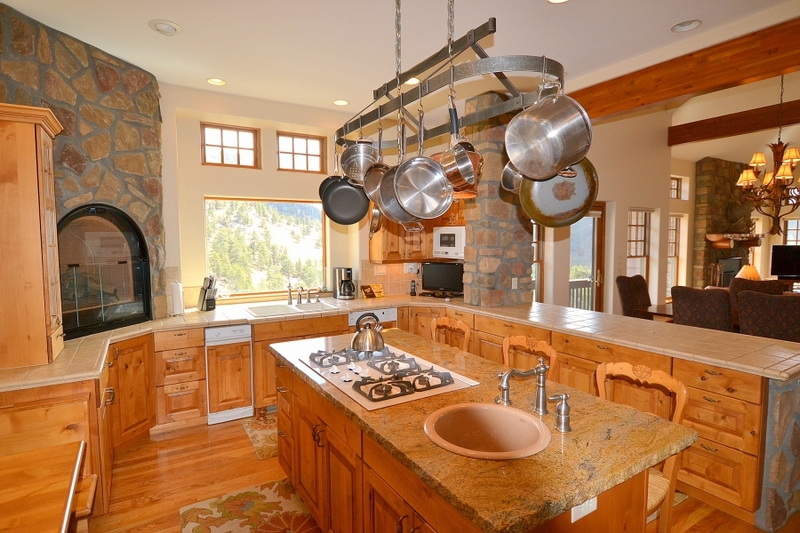 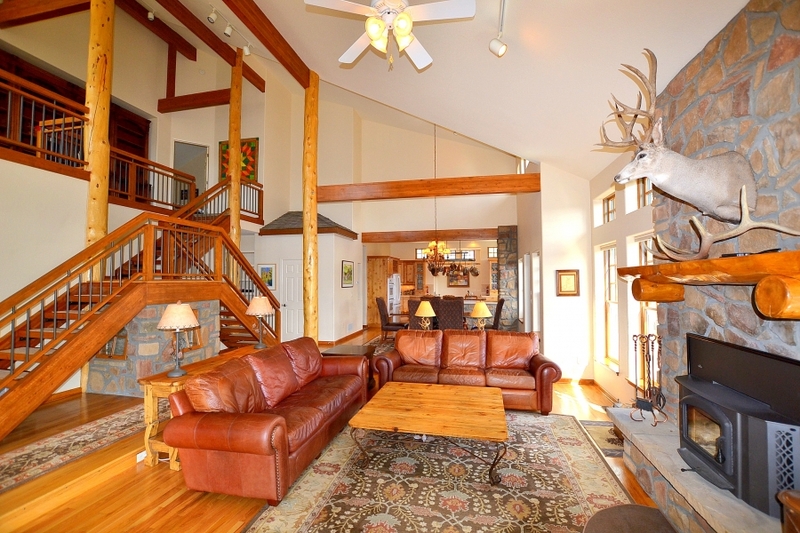 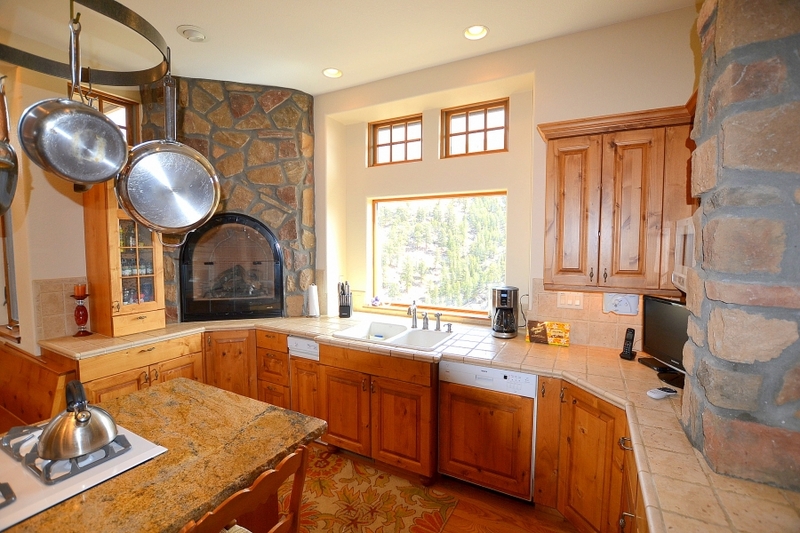 3500 square feet of meticulously finished and maintained mountain elegance. 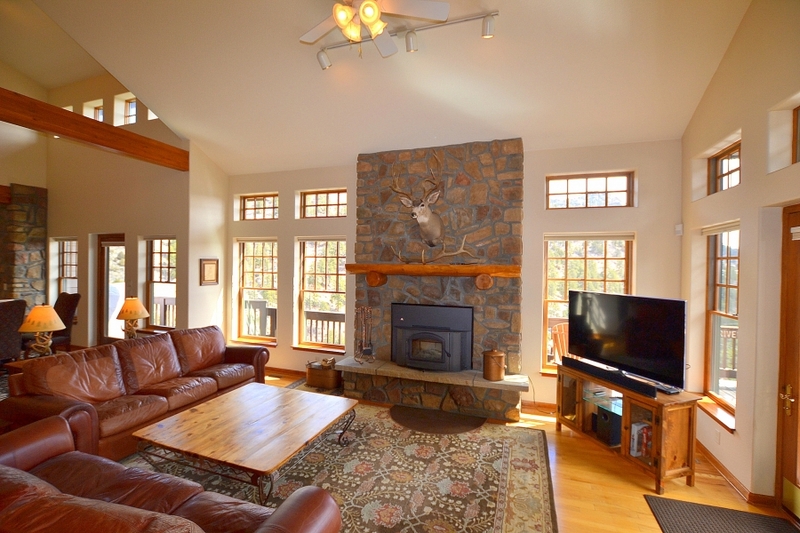 Natural light, solar gain and breath taking views from EVERY window thanks to the perfect southern exposure. 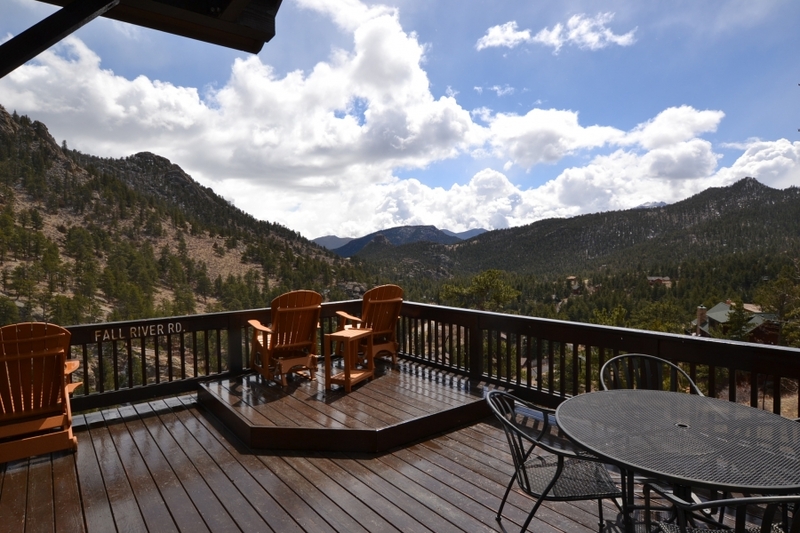 3 decks, one of which has private access from the master retreat that encompasses the entire lower level! 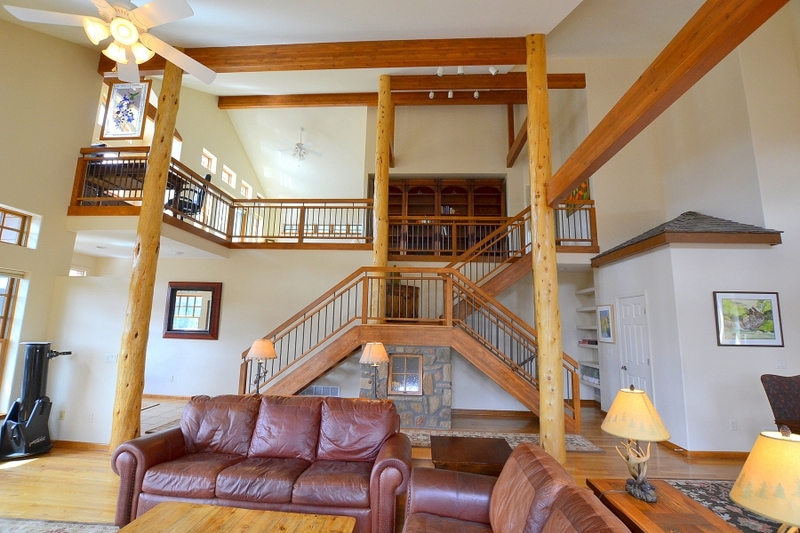 The main level of this home is perfect. 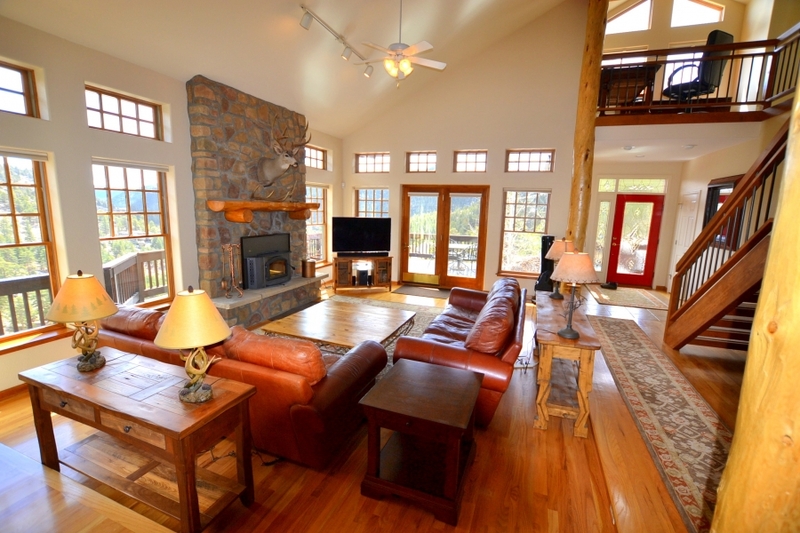 Large, open, light, and bright living room with great views. 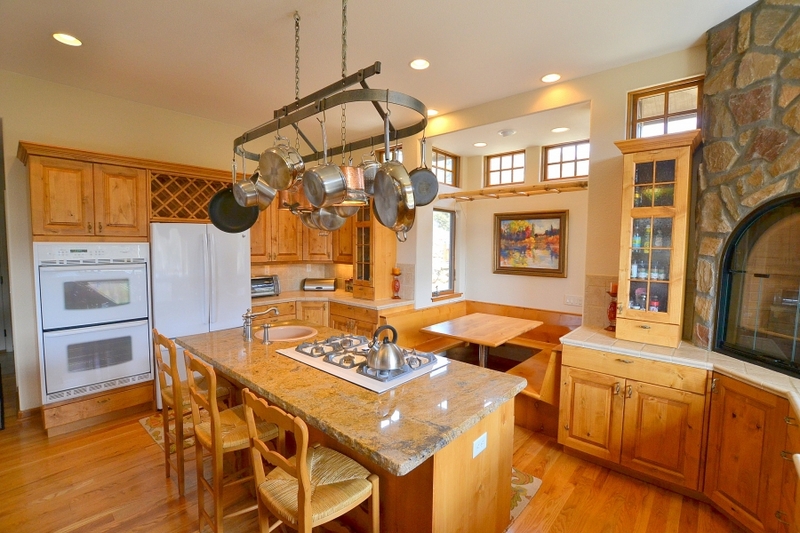 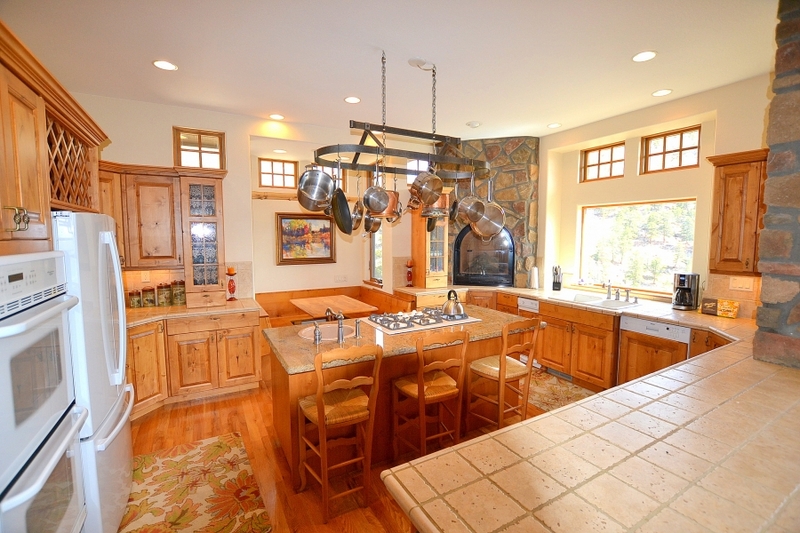 Large chefs kitchen with granite and title counters, double ovens, fireplace, built in breakfast area. 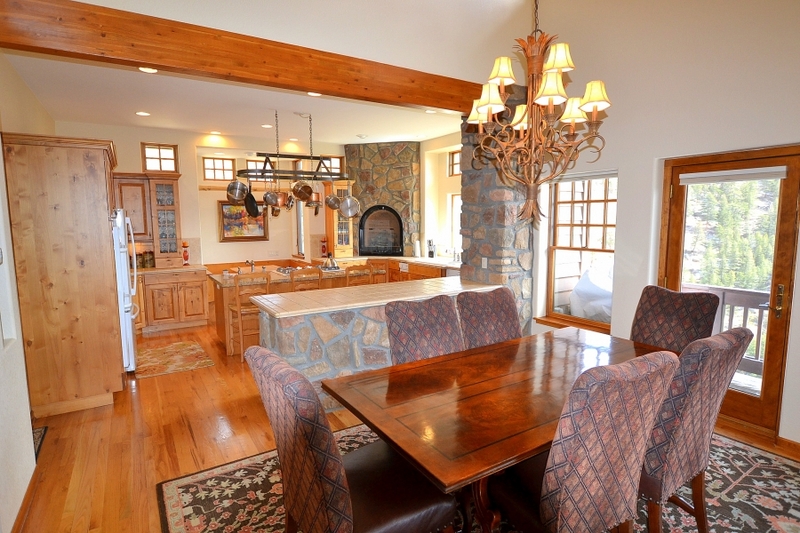 Beautiful dinning area with plenty of room. 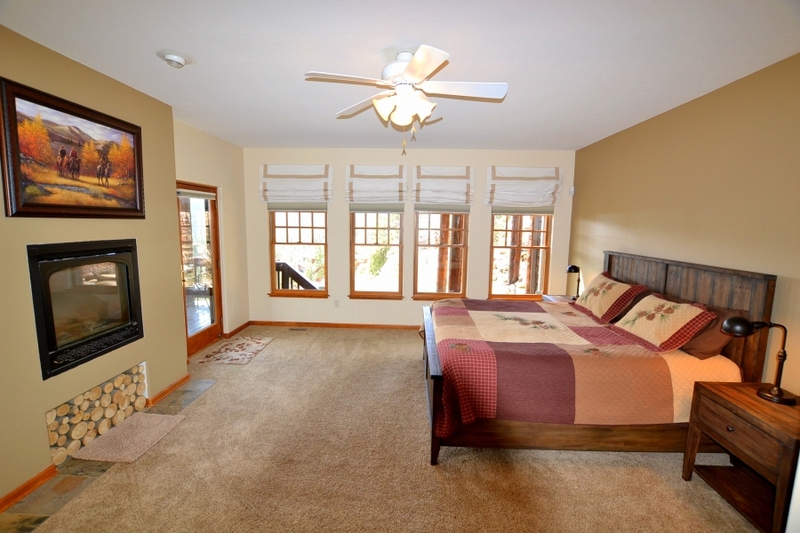 The master bedroom retreat encompasses the entire lower level and will not disappoint. 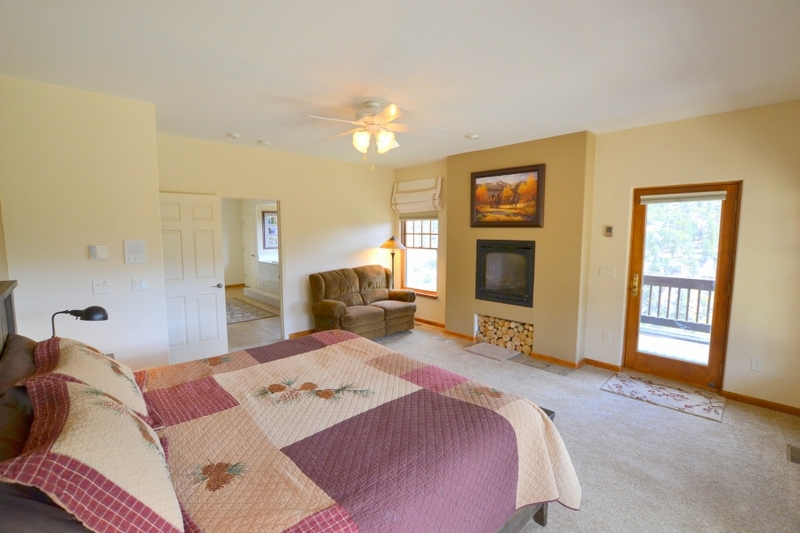 The room has lots of natural night, access to the deck, and gas fireplace. 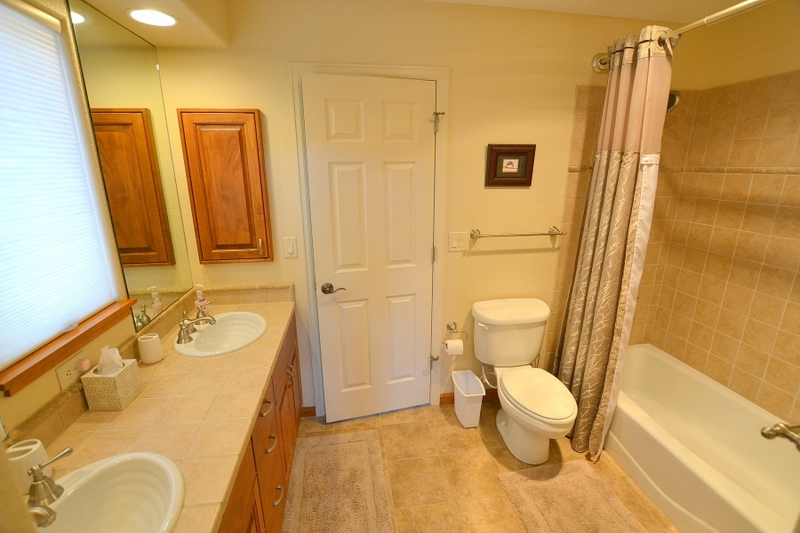 Immediately off of the master bed is the en suite master bath. 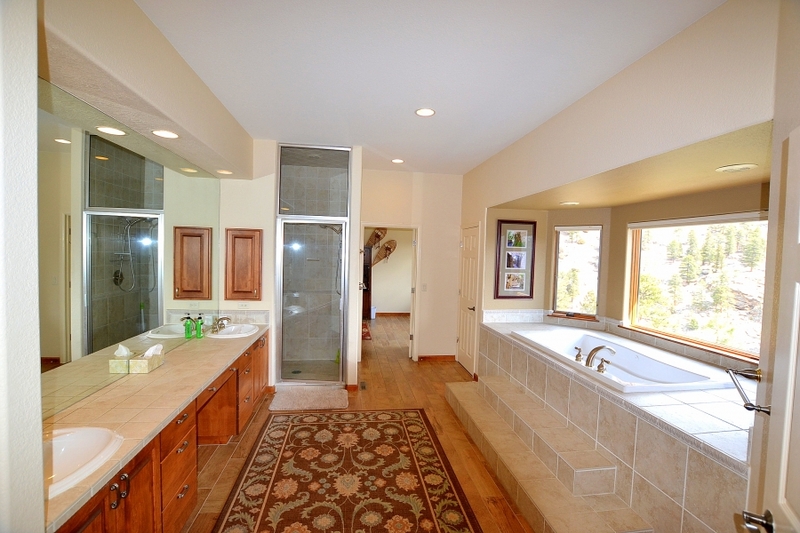 The master bath is huge and luxurious with double sinks, separate shower and soaking tub with a view. 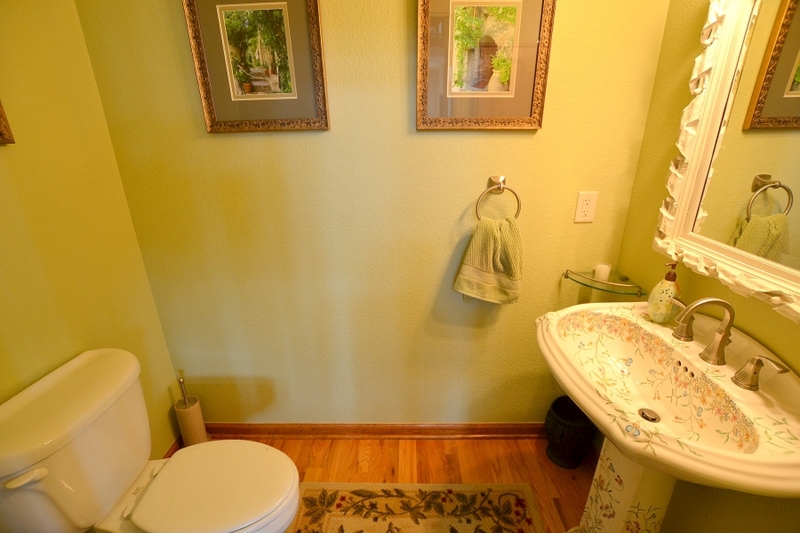 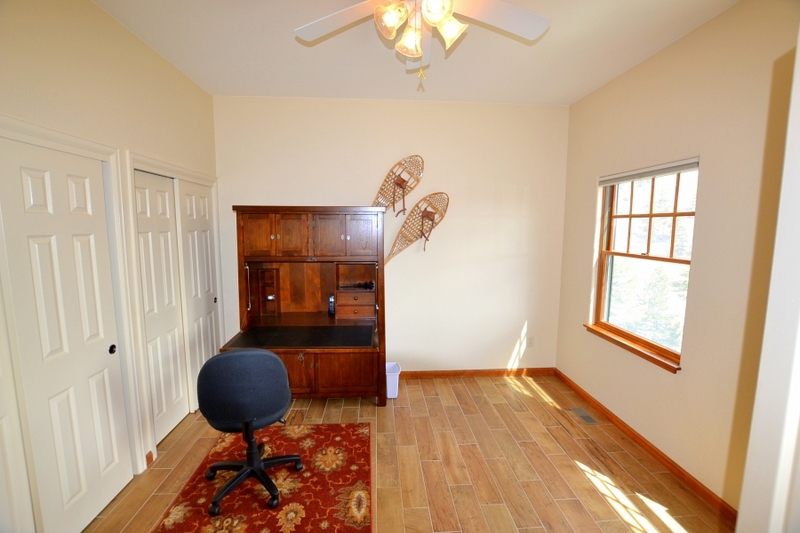 Off of the master bath is a 2nd office area, if you need to get away and get some work done. 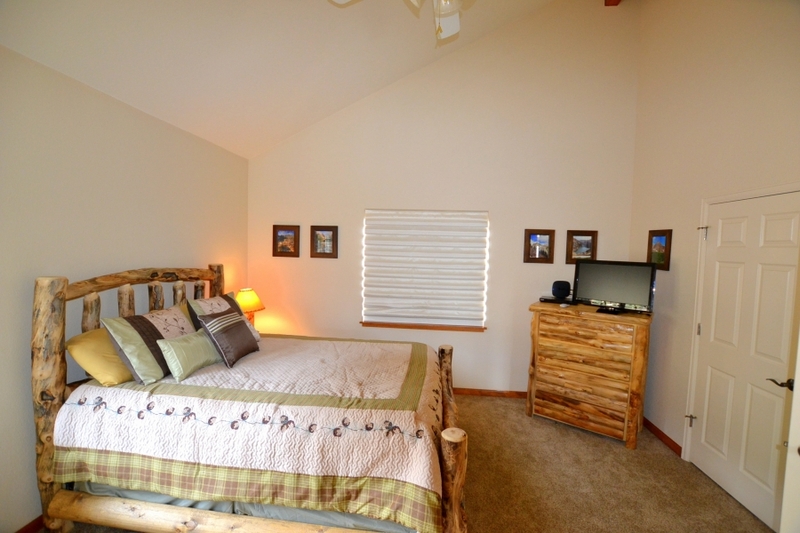 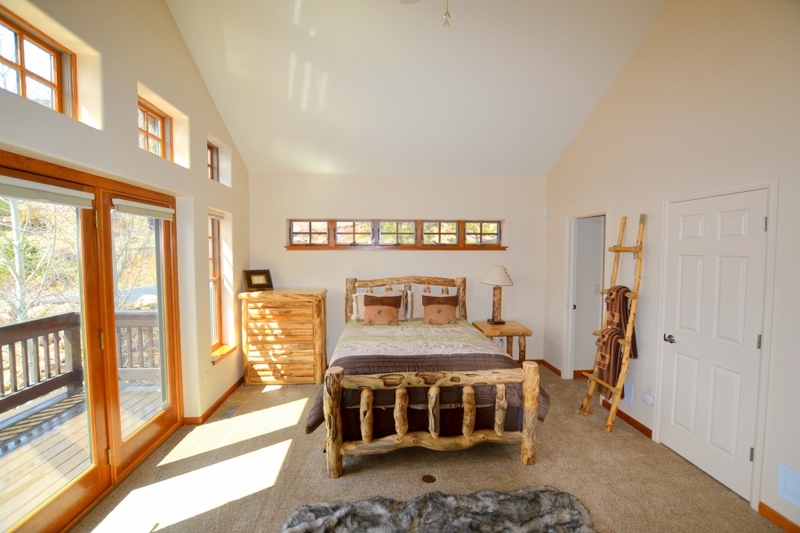 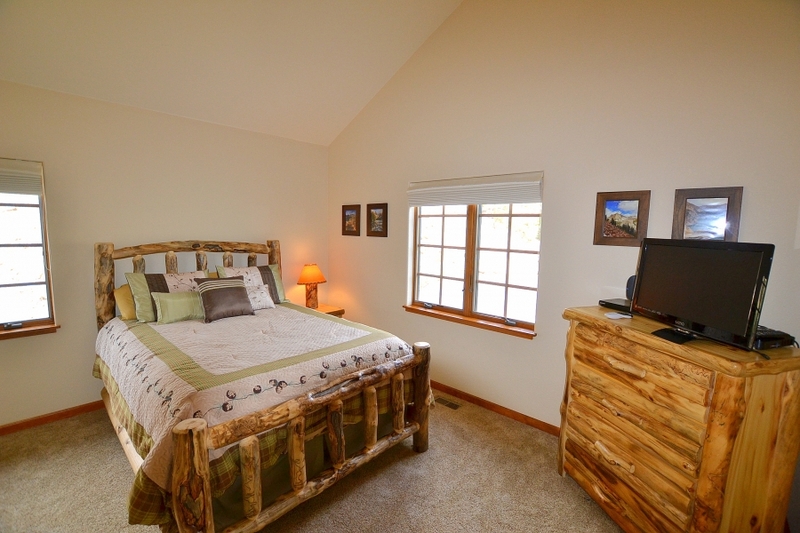 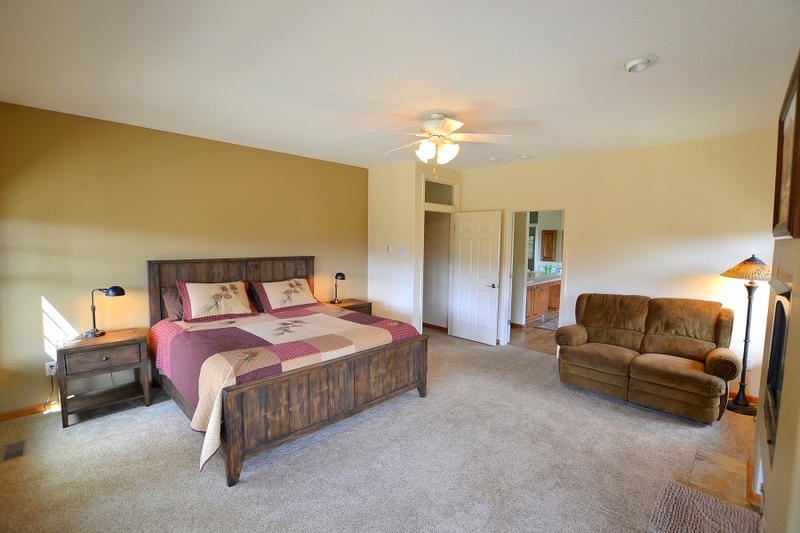 Upstairs are two additional bedrooms with beautiful log beds and log dressers. 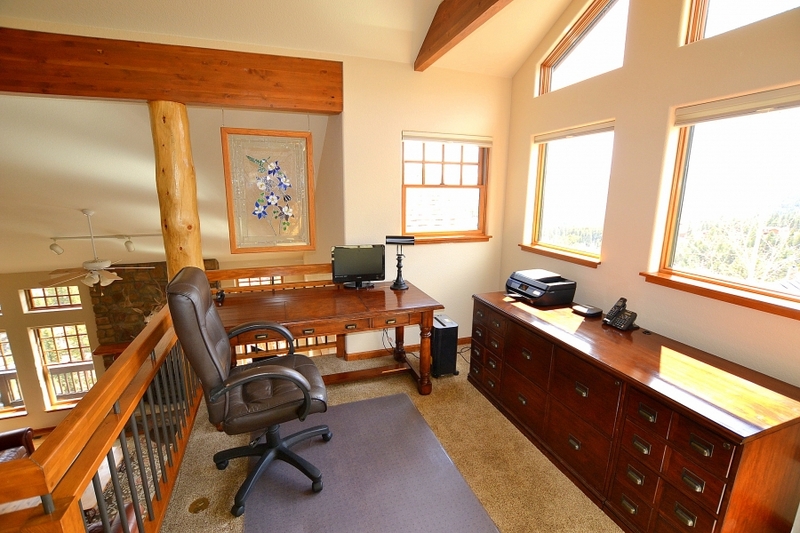 Additionally there is a loft office with great views. 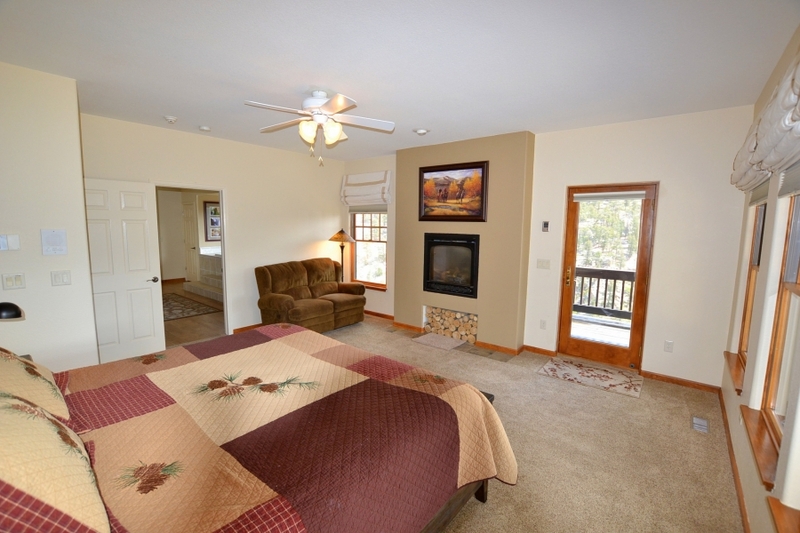 FIREPLACE – MAIN LEVEL – WOOD BURNING STOVE.